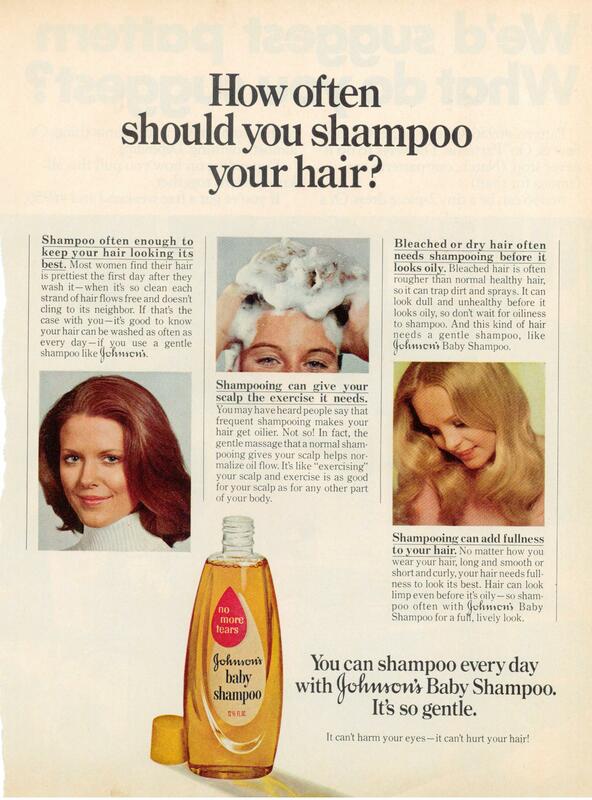 Musings from Marilyn » Baby Shampoo Was Hot in 1973 – And Still Is Today! Posted December 2, 2014 by finnfemme & filed under Beauty, Daily Life, Fashion, Frugal Living, Vintage. This ad for Johnson’s Baby Shampoo is from 1973, a curious time when baby products (shampoo, lotion, powder) were highly touted for women. Gentle “no more tears” formula promised a soft, full, lively look for your hair. I never used baby shampoo in 1973, as my hair was much too thick and oily for it to do the deep cleaning that I liked. I remember using Prell, and Breck for oily hair shampoos when I washed my long hair every day. But times change, and I’ve rediscovered several uses for that good old baby shampoo. It hasn’t changed in 41 years – still the same “no more tears” formula. I started using baby shampoo to hand wash my cashmere, wool, angora, and mohair sweaters. Since these fibers are basically hair, baby shampoo does an excellent job in cleaning sweaters. They turn out so soft and fluffy, it’s like a miracle product! Very economical too – just a few dollars for a big bottle. Then I went through a period where the skin around my eyes was red and irritated. Removing my eye makeup with regular cleansers seemed to exacerbate the problem. So I researched solutions and found a tip to remove eye makeup with baby shampoo to avoid irritation. It totally made sense as baby shampoo can get in your eyes and not cause tears. Wow, it worked! It’s a very gentle yet thorough facial cleanser. Finally, I came full circle and started using baby shampoo on my hair. It has been brutally cold here in Seattle the past month or so, and my sensitive skin (and scalp) bear the brunt of it. 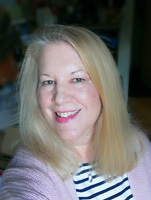 I typically use all kinds of expensive shampoos and conditioners for color-treated hair, but lately they have just seemed so heavy and left my hair feeling limp. So I got out the Johnson’s baby shampoo and gently washed my hair and massaged my scalp. I used no conditioner or any other product on my hair. Voila! The result was nothing short of amazing – my hair was clean, full, bouncy, and very soft. Hey, if it’s good enough for washing sweaters and removing eye makeup, it certainly can do its original intent – washing hair!